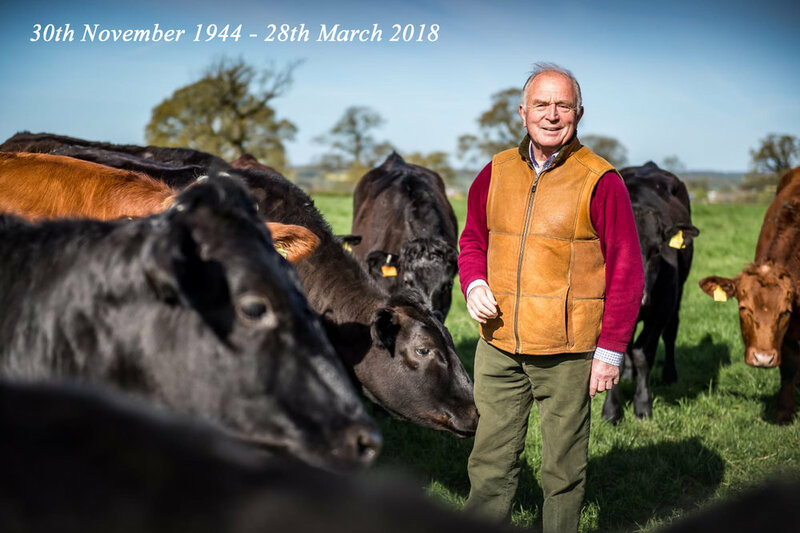 Mike Tucker, who passed away suddenly on 28th March aged 73, had been Chairman of the Wagyu Breeders Association (WBA) since its launch in 2014. One of the founders of what was widely held to be the first new Breed Society in over twenty years, he was pivotal in its creation: from having the first seed of an idea, through to canvassing support and finally setting up the WBA as a legal entity. Mike was a great networker and communicator applying his passion and energy to convince people to get on board with Wagyu. His first introduction to Wagyu came at the 2008 Beijing-Hong Kong Olympics where he was commentating for the BBC. Tasting some of the beef, his reaction was ‘Wow, I want to get a piece of this!’. The following year saw pure Wagyu genetics introduced to the UK from Australia using Lake Wagyu black lines and Sumo reds from Gabni Wagyu which culminated in the establishment of the successful Cotswold Wagyu brand. A lot has been written about his renowned equestrian broadcasting skills but Mike was just as much a cattle man and farmer. Church Farm, Long Newnton near Tetbury, Glocs had been in the family for several generations with HG Tucker & Son noted for its Holstein herd which ran under the Newnton prefix until its dispersal in 2006. A move away from dairying saw Mike breed Fullblood Wagyu as well as crossing onto Angus and Hereford cows. 7am was always a good time to catch him on the mobile when he was out in the yard feeding or bedding up! Mike was dedicated to promoting Wagyu and was very much the driving force behind the WBA which has seen membership grow to 50 breeders and Wagyu births up 48% year-on-year. Wherever you go, people know about the breed and its fantastic premium meat. Whilst Mike would always be the first to raise his hand and admit not everything has been plain sailing, a huge amount of credit for this must go to Mike. Our thoughts are with Mike’s wife, Angela, children Andrew & Emma and their extended family. A Service of Thanksgiving will be held to celebrate the life of Mike Tucker at the Parish Church of St John Baptist, Cirencester, on Tuesday 10th April at 3pm which the family welcomes everyone to attend. No flowers please. Donations if desired in memory of Mike for Great Western Air Ambulance, Retraining of Racehorses and the MS Society.